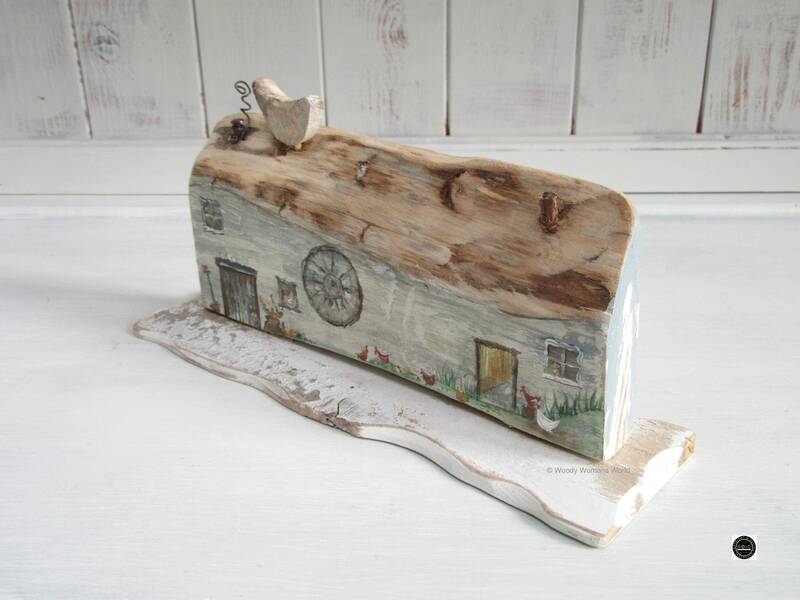 Rustic cottage 24cm in length. 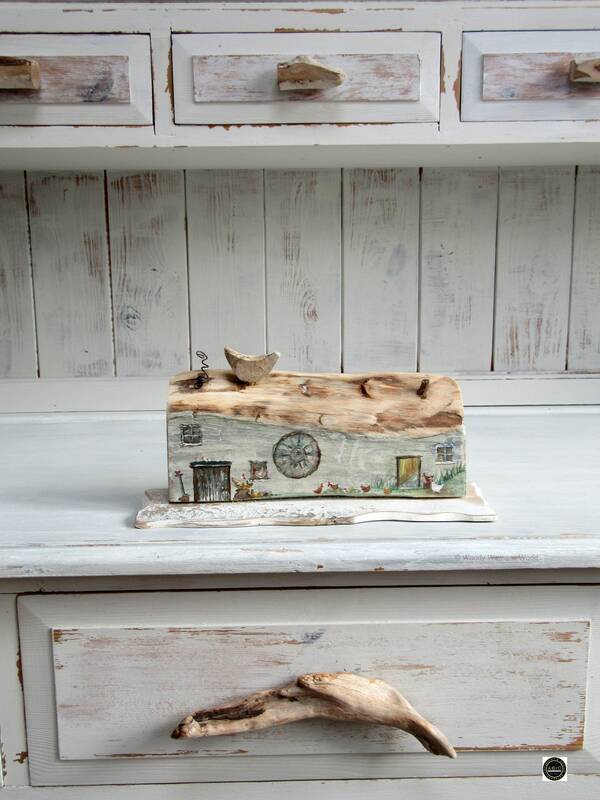 Combination of driftwood, rustic woodland finds and recycled wood. Hand painted details and dusted with a sprinkling of magic. Free shipping with speedy shipping alternatives at checkout. Free unique gift wrapping and also personal message offered and sent to recipient if you wish. 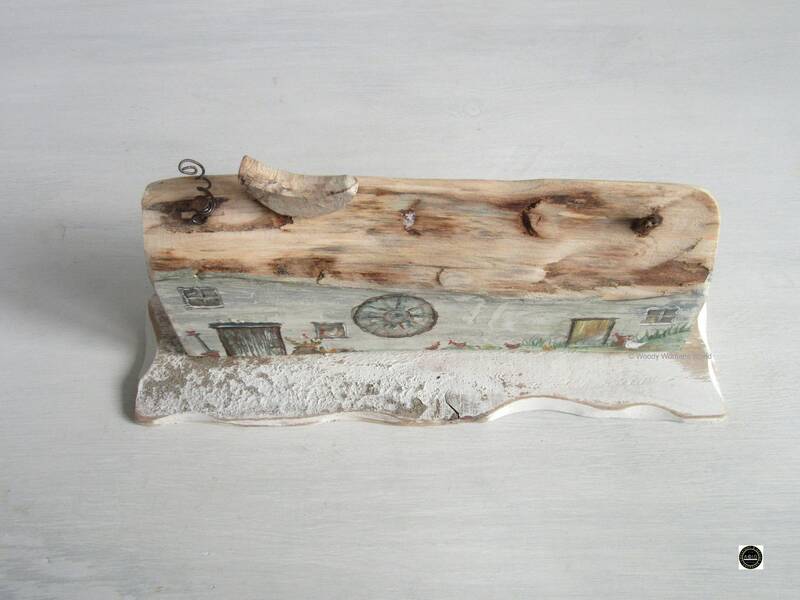 The wooden cottage stands firmly at approximately 12 x 24cm in height and 6cm in depth. 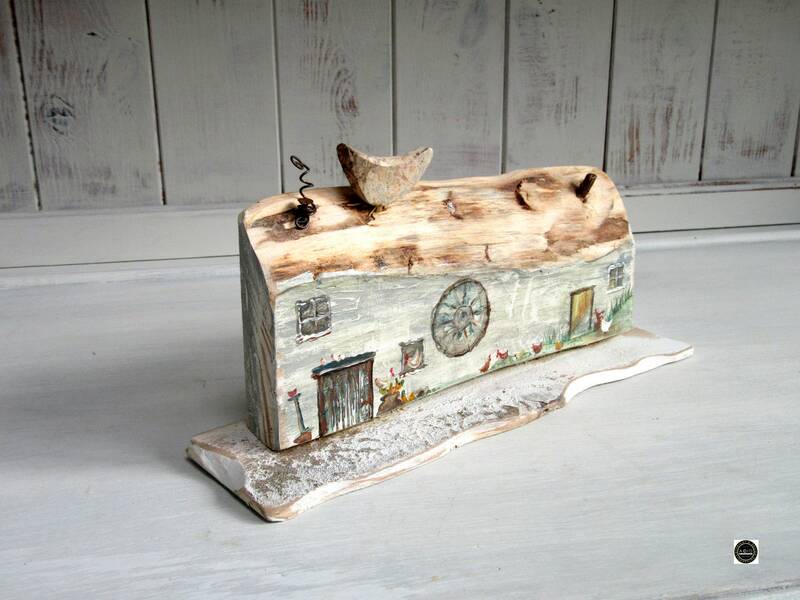 The cottage is made from combinations of driftwood, woodland and recycled wood. Inspired by the allotment signs that I make and entirely handpainted in a country seaside charm. Rescued chickens and hens live a wholesome happy life, whilst veggies are the call of the day. A delightful ornament to display in any little space. An art piece with oodles of charm that will enchant any receiver. 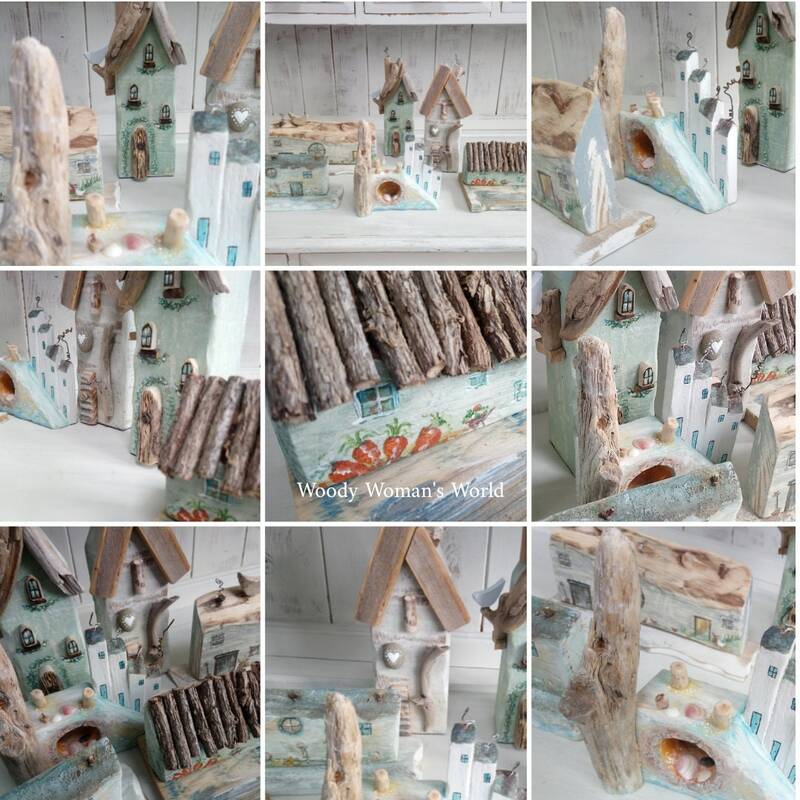 Hand made in Wales with lots of love and a sprinkling of magic the cottage will be beautifully wrapped and securely packed for its journey. Sent on a 2nd Signed for Delivery for a safe journey and will need a signature on their arrival. 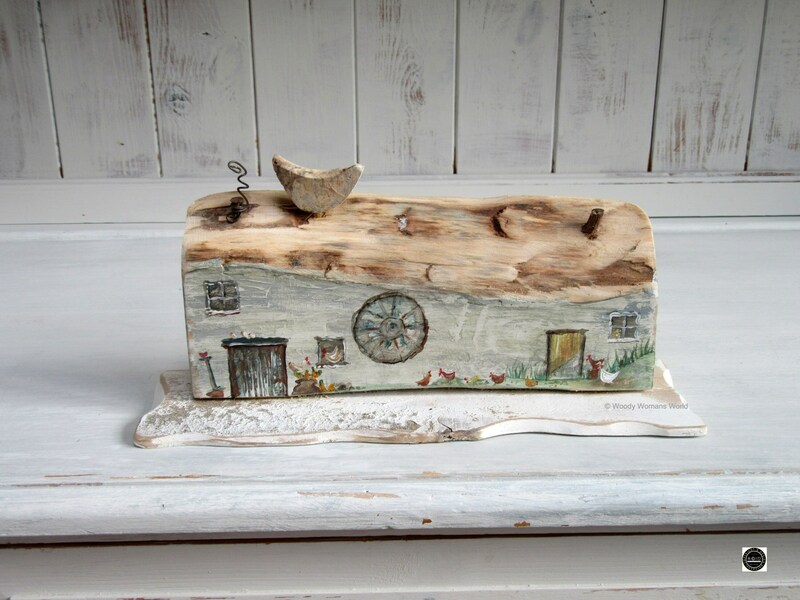 Below is a link to the Cottage section where you will find some more beachy cottages and the inspired allotment sign.